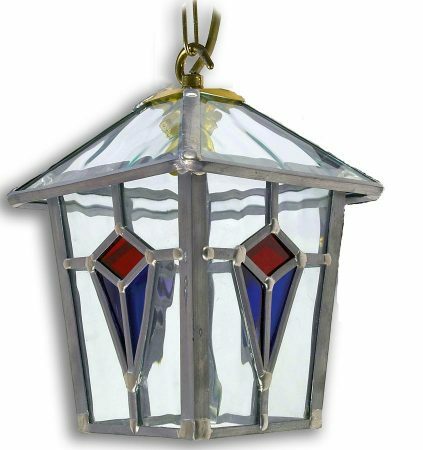 This Ascot handmade red and blue leaded glass hanging outdoor porch lantern is rated IP43 and features a tapered lantern, made from clear and rippled glass, with red and blue glass panels forming a torch motif and finished with a solid brass hook and chain suspension. What could be more enchanting than this traditional handmade outside porch lantern? Supplied with 20cm of chain suspension that can be shortened at the time of installation. 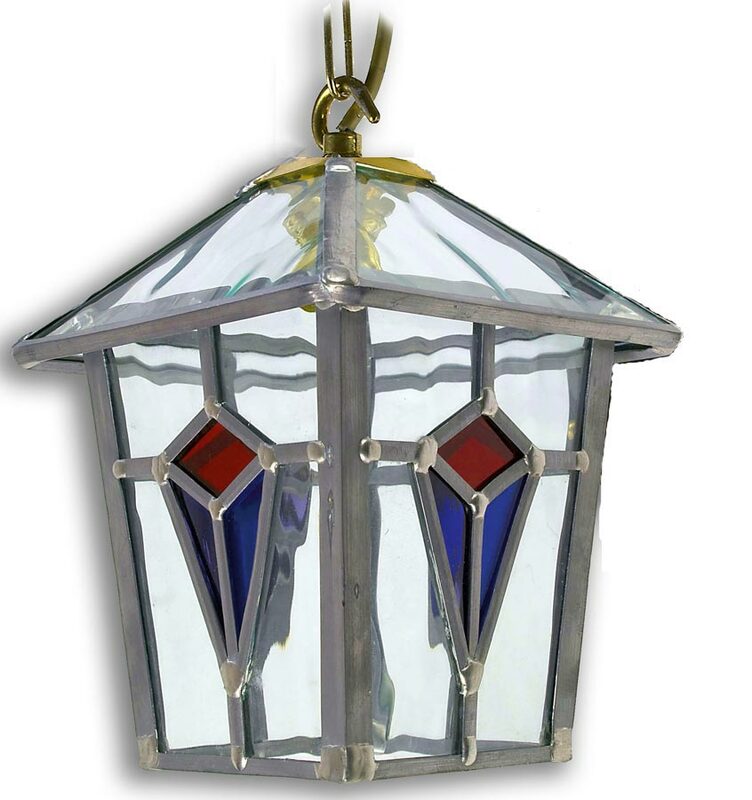 Hand crafted in Yorkshire and featuring traditional soldering techniques, this Ascot handmade red and blue leaded glass hanging outdoor porch lantern embodies over seventy-years of skilled local craftsmanship.